As mentioned earlier in the post on the Good Deed Jar, it is better if we hide it when we do good to others – and it even takes away some of our sad points, as well as all the other benefits of doing good. Anonymous acts of kindness are a great way of doing this – leaving a post-it with a message of wishing them a good day on someone’s parked car window, paying towards the next person’s order when queuing for a coffee or simply smiling at anyone you pass on the road are all examples of how we can do good to people we don’t know and who don’t know us! 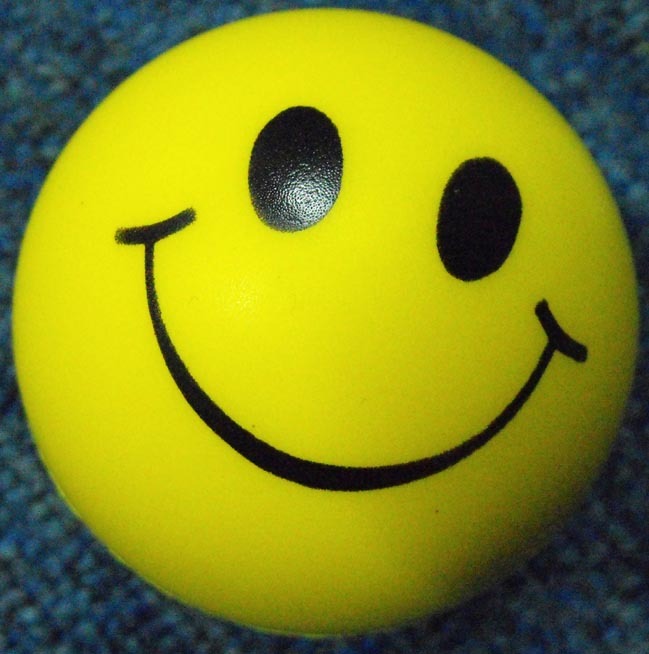 Some time ago, my kids and I found these smile balls in a pound shop (think they came in a pack of 6) and we bought a few. We then bought some chocolate and had a lot of fun leaving a chocolate and a smile ball with shopkeepers to give to the next customer, handing them out to random strangers and generally just enjoying thinking up ideas of what to do with them!